Carbondale Fire District invites you to come to our Community Open House. It will be a great time with something for the entire family. 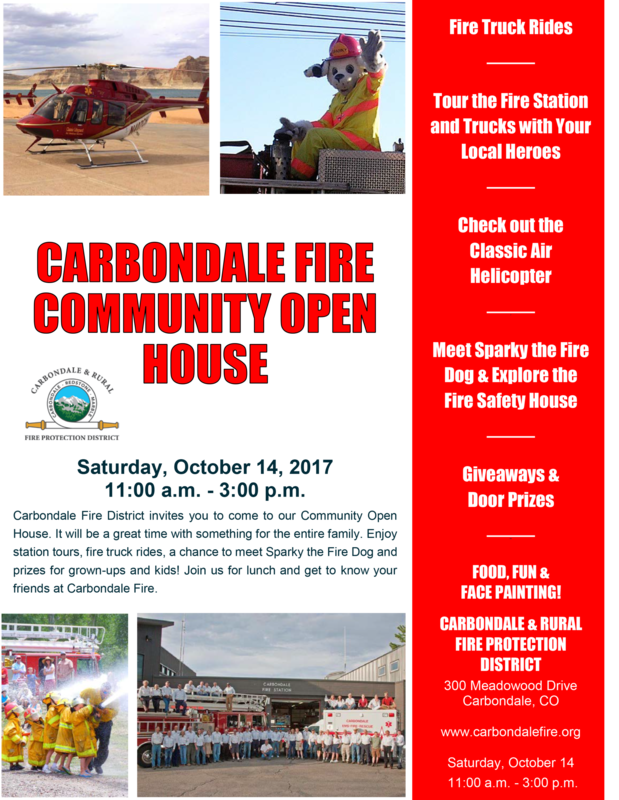 Enjoy station tours, fire truck rides, lunch with your friends at Carbondale Fire a chance to meet Sparky the Fire Dog! Plus, prizes for grown-ups and kids!